EdTechXGlobal Growth Awards includes those education and training companies who have shown the most revenue growth momentum over the last 3 years. To be eligible for consideration for the EdTechXGlobal Growth 20, applicants must have revenue above €5m. Questions? Email Us. Applications for the 2018 EdTechXGlobal All Star Awards are now closed - we will be announcing the winners at the EdTechXEurope summit on 19 June. 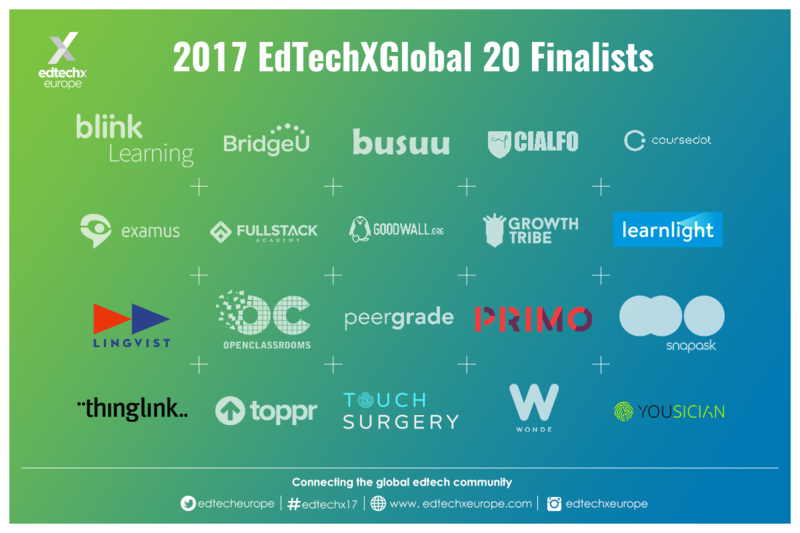 These innovative EdTech companies transform the global education marketplace and we look forward to selecting the 2018 winners!